Ok, so you are probably thinking I have lost the plot. Of course the point of a competition is about giving away a prize. Or is it? Think about it, if the only goal was to give away a prize then the competition would fail. There has to be other goals and objectives. 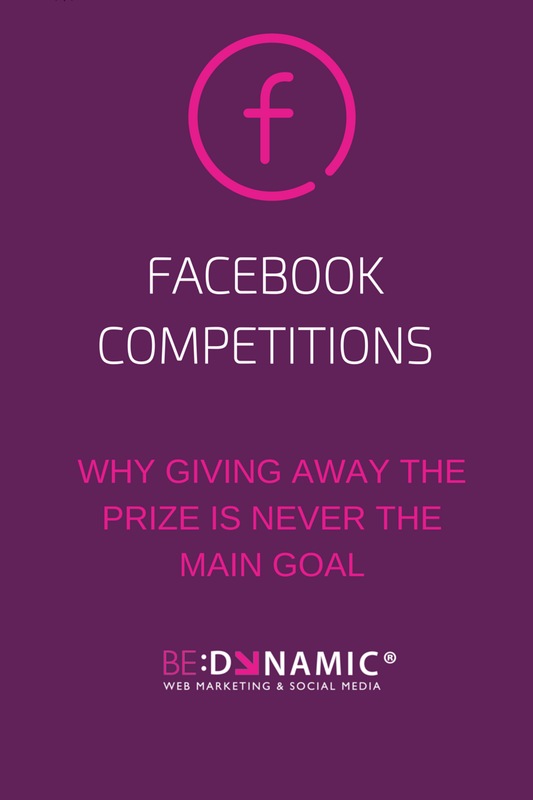 So what should you do when running Facebook Competitions? Relevant is the keyword there. Ensure the prize you are giving away is relevant to your business. Instead of a hair salon giving away an ipad, why not give away a free hair do. It sounds simple but you would be surprised how many times I see businesses giving away prizes that in no way relate to their business. Choosing the right prize means that you will get the right people engaging with the competition. A few years ago I was working with a butcher and they wanted to give away a holiday gift voucher worth €500. 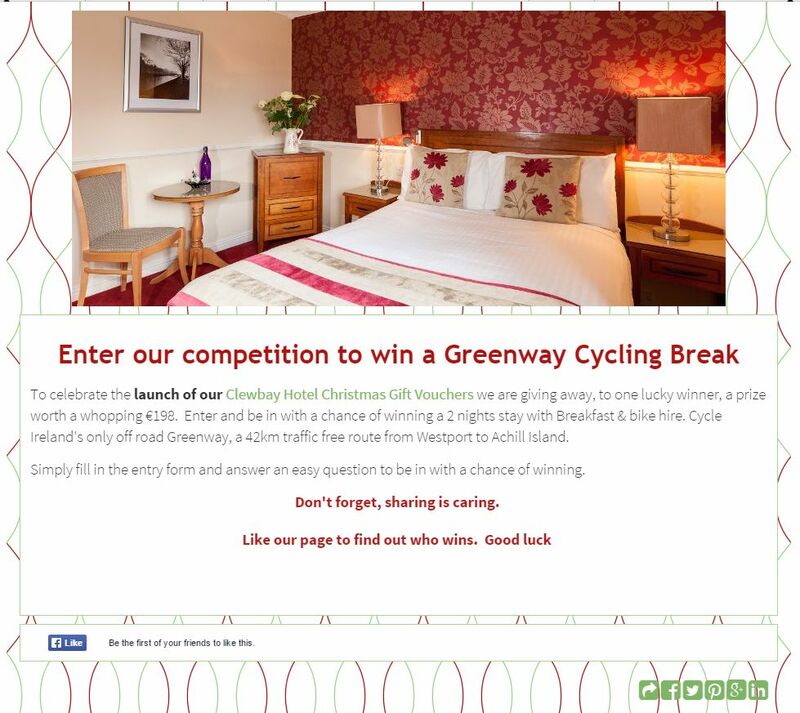 Now that is an amazing prize, if you are a travel agent. We discussed other options and decided to give away €500 worth of meat. At least people entering would be meat eaters and would be interested in buying their products again. It also cost them less as the meat was going at cost but a holiday voucher would have certainly cost them €500 to purchase. An example of a goal is to grow your fan base. Don’t get too bogged down on this one as this is what I call a vanity metric. It is still a legitimate goal but try to have more focused goals and objectives like increasing your email newsletter data base and increasing awareness of new product / service. It is important that you track the overall success of the competition. 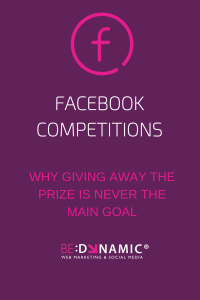 Every time you spend money on digital advertising, Facebook competitions etc you need to find a way to track its return. There is no point in spending money for the sake of it. To achieve all this they had to give away a prize but that was never the goal or objective of running the competition. 55% approx of all people that entered the competition opted into receiving their email newsletter (208 new email addresses). We achieved this by incentivising the sign up – making the entrants aware that their was a clear benefit for them to sign up e.g. access to fan only offers. It will take time to turn these new newsletter recipients into paying customers but without the competition the Clewbay Hotel would never have had the opportunity to reach and engage with these potential customers on an on-going basis. They received an increase in overall voucher sales of 10% during the period.